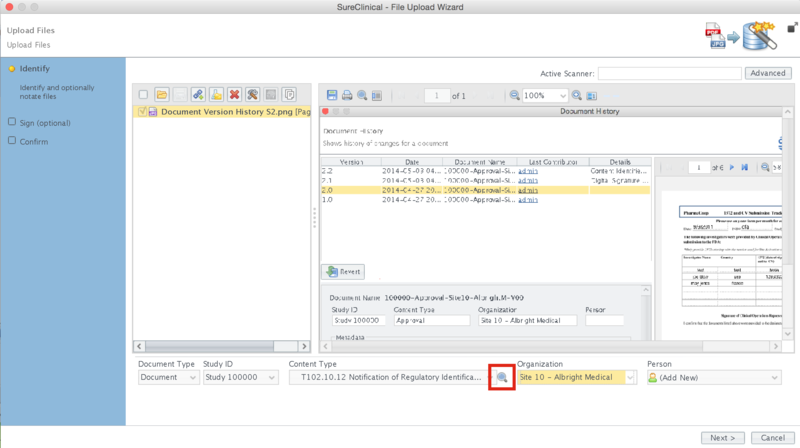 SureClinical supports various ways to pick target location for a document when uploading. 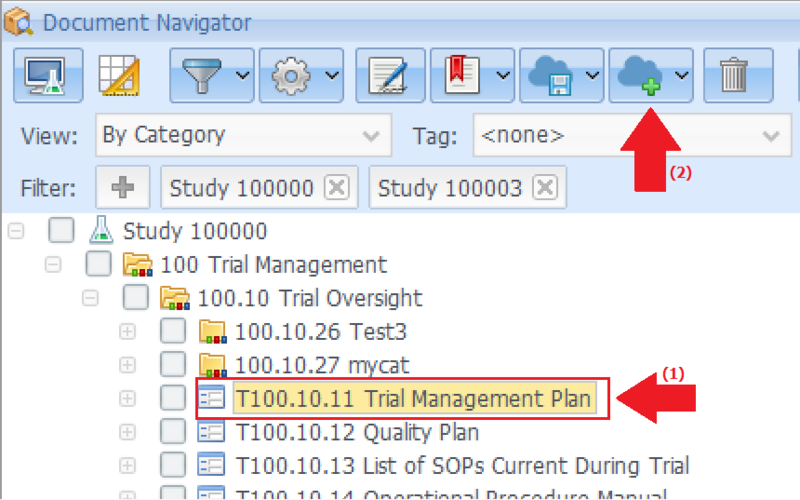 Click the target content type then click on the Upload button in Document Navigator. The upload wizard will not be launched unless you select first a Content Type. 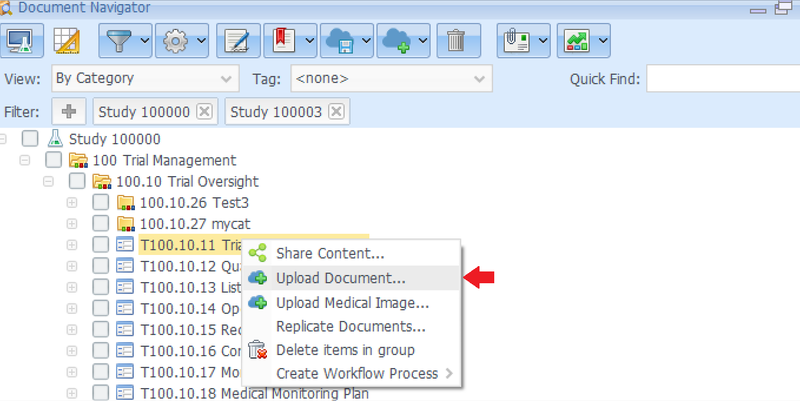 2 In the File Upload Wizard, select a document and the Content Type field is automatically filled with the selected Content Type. 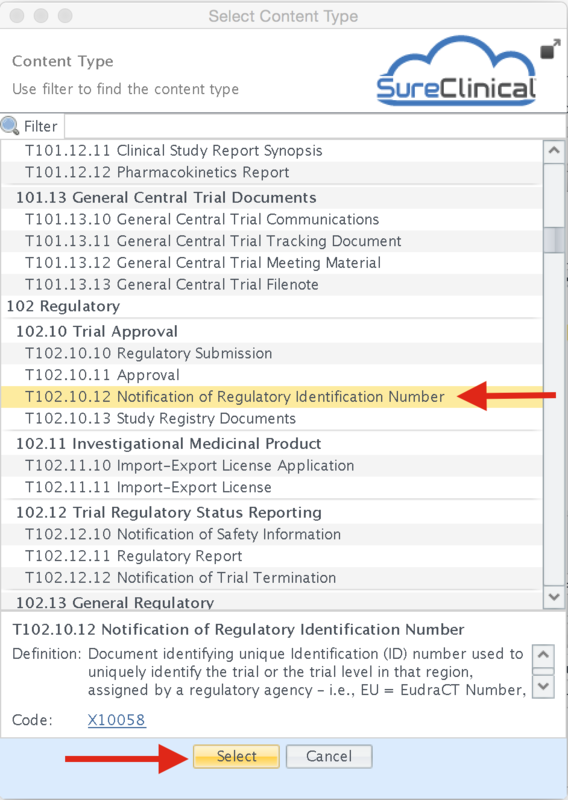 Click Next to move to the following steps and click Finish to conclude the wizard and upload documents. 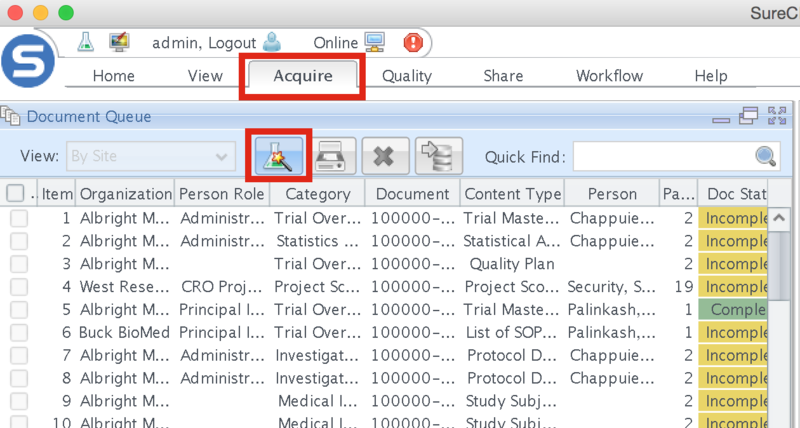 Click the Acquire Tab and click the File Upload Wizard icon. 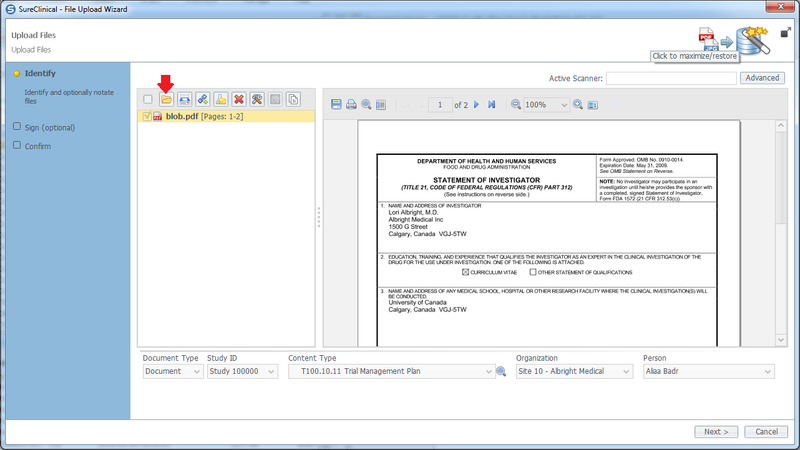 2 In the File Upload Wizard, click the magnifying glass to open the Content Type Window. 3 When the Content Type Window opens, select the content type you wish to upload the document to.